Economically, times are hard and stay-at-home moms need to make money to help the household financially. If you're a stay-at-home mom looking at your options, you're probably interested in something that is flexible so you can also spend time with family. Some enterprising moms are choosing to start their own unique businesses rather than re-enter the regular workforce. Starting your own business allows you to make your own schedule and be your own boss. While a lot of moms have thought about starting their own business, many don’t know where to start and are afraid it will cost money they don’t have. What most stay-at-home moms don’t know is that it is 100% possible to start a business with money you already have! With a little budget tweaking and creativity, anyone can start their own home-based business. Do you know what services you would offer in your business? Is there something special you are good at and can turn into a profit? For example, if you are good at baking, why not make money off it? You can plan on how much the start-up cost will be once you know what it is that you would like to do. A few ideas to get you started include some of the ideas listed below. This is a great opportunity when you enjoy spending time with children and you want to continue to stay at home.In the US, some states allow you to care for up to four children without having to be licensed. The start-up cost does not have to go above $20. You can find more information about this by searching for “Home child care regulations” in your state. You will usually find an organization or government website that will provide you with information about your state regulations. In Canada, you can find out more about what’s allowed in your province by visiting your provincial government’s website. Search for information on family day homes or home child care. These resources will tell you everything there is to know about what is and isn’t allowed when it comes to caring for children in your home. Pet care can include grooming, walking the pet, feeding and pet-sitting. Until you are able to offer the necessities for grooming a pet, you can always ask your client to supply it. Keep your rates low to make it easier for them to supply the shampoos, combs and clippers. You can raise your rates for new customers when you have a stock of supplies. 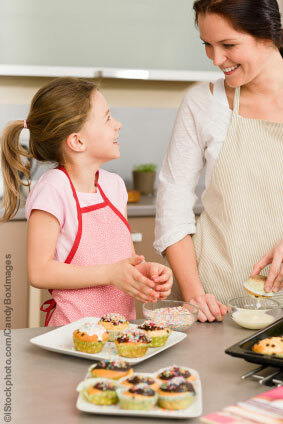 Do you enjoy baking delicious cakes and cookies and everything in between? Make some goodies at home and then sell them! There are a few considerations to make before starting a business like this, as well as having to acquiring some specific licenses. Before you begin a home-based food business you must first check with your city or state/province to see if your home is within a certain zone to legally be used for a business. You should then register your business name and for an operating license as well as a business number. Your home must also meet the health and safety requirements set out by your state/province as well as undergo a health inspection. Some states/provinces also require you to take a food safety class. As much work as this seems, it’s actually all quite easy to make the necessary phone calls and set up the inspections. In the end, it won’t cost you more than $300 to get your home-based food business legally up and running if you pass all of the requirements. Once you take care of all the legalities, you can then enjoy baking your days away and make money while you do! People just don’t have the time to get the little things done. Some people don’t have a way to get things done. Running errands like grocery shopping, paying bills and laundry is next to impossible if you live in a small town and do not have a working car. There are plenty of opportunities available to start your own business. Analyze your current situation and know where you want to be. You need to have a plan, even if you are a small home. Your plan will include a statement about your business and why your business is needed. It should also include your target audience. Your target is your customer. Is it women with children? Is it pet owners? Also include a financial summary in your business plan. This consists of all costs involved with your business including your cost of good sold and operating expenses. Write goals for your business and review these goals periodically to see if you are meeting them. It is very important to have your business plan on paper. This allows you to step back and take a look at the bigger picture. Is your plan reasonable and realistic? Does it have room for growth? Will you make money? Is your plan financially viable? Do you need to change some things? Once you have a plan you must then decide on your rates. Starting off, you are not going to be able to charge the same as high end cupcake boutiques in New York. You must look at your customers first and decide what is realistic to them. Then, check out what competitors in your area (or closest to you) are charging. Remember you still want to make a profit, but also sell a lot of product! To be successful you are going to need to then reel those customers in. Tell friends and family about your new business, tell everyone you meet! Then get them to tell everyone. Word of mouth will be your best friend when it comes to cheap advertising for your new business. Once you get going and make a little profit, you can make business cards or buy an ad spot in your local newspaper. There are plenty of cheap options for advertising. Be sure to take advantage of social media too, like Facebook and Twitter. Running a home business isn’t for everyone, but with a little motivation and a few costs to get going – you can do it too!